Window Awnings and Door Canopies not only add style and charm to your home or business, they also provide UV protection for the furnishings within. Since Designing Windows Plus has many styles of awnings in for your windows and doors, below we listed a few to give you an idea of how they can complement your home and even match an existing patio or deck awning. This is a maintenance free solution while still offering an excellent protection from weather conditions. Elegant and yet affordable, this style is built to offer a sophisticated answer to those in search for distinction. 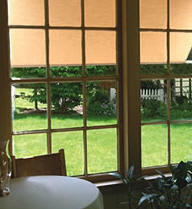 The above are the Capri from Alutex which are perfect to protect indoor areas from overheating and UV rays. 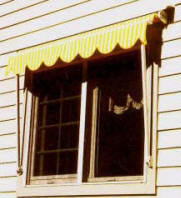 these awnings can operate either manually or electrically and has a powder coated finished aluminum. Capri can also be lowered 180 degrees down for total window privacy.